It shouldn’t be all that surprising to see, but Charlie Sheen is prepared and ready to get roasted with the announcement of The Comedy Central Roast of Charlie Sheen. The network announced that the roast will be filmed on September 10, and will air on September 19—the very same night that Ashton Kutcher, who was chosen to replace Sheen on Two and a Half Men, makes his debut on the show. Kutcher’s first run on Two and a Half Men airs at 9pm EST, while Sheen’s roast will hit at 10pm. It’s seemed for a while now that CBS would be replacing Charlie Sheen on their hit sitcom Two and a Half Men instead of working things out with him or canceling the show all together. For a while there was a “mystery man” they wanted to bring on to replace Sheen, and it was just revealed that this mystery actor was actually Hugh Grant, who ultimately decided to turn down the job. But it appears that the network had a back-up plan well in place already as it’s being reported that Sheen’s replacement has in fact been chosen. 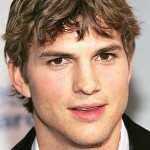 Multiple sources close to the show are saying that CBS and That ’70s Show star Ashton Kutcher are putting the “final touches” on a deal that would see Kutcher taking over for Sheen, who famously went off the deep end before being fired by the network recently, and is currently capitalizing on that highly publicized meltdown with his own tour. Boy and girl are sitting on a bench underneath the moonlight, probably at some middle school dance or summer camp. They are taking a break from whatever festivity it is that they are attending. The boy looks fairly shy and nervous, anxious to get to a certain point. The girl is more opened it seems. She’s possibly thinking that the boy is going to ask for a kiss. Or maybe he will even act hastily and sneak one. This is such a wonderful set-up that evokes the impulses and feelings we feel at the ripe age of fourteen. But my naiveté works against me here. What wishful thinking on my behalf! What comes out of the boy’s mouth (a question that is usually asked to a prostitute) is well beyond his age and his image. And the girl, disturbingly, remains composed at the question. Can it be that he is addicted to sexual acts at this stage of his life and she desensitized by such pleads? What a demoralizing thought. But my senses should have been more alert for the dialogue used by these two kids. Hell, why should American comedy hold back any thing? Crude is what American comedy does best. And this is 2011, so we should come to expect this kind of humor, vulgarity, cheapness, and conventionality. Amazon is currently offering That ’70s Show: The Complete Series on DVD for only $79.99 (that’s 60% off the list price of $199.98). This 32-disc DVD set contains all 200 episodes of retro sitcom that aired on Fox for eight seasons, as well as several hours of bonus features spanning all 8 seasons. The DVDs, which have sleeves designed like classic LP covers, come in a 1970s-style record box that also includes a keepsake “yearbook” containing a director’s letter, cast interviews and photos, and character timelines along with the series finale script signed by the cast. Note – this deal expires on December 23, 2010. Well here comes another romantic comedy, which seems to be the style nowadays. That’s right Katherine Heigl, who plays Jen, and Ashton Kutcher, who plays Spencer, bring you Killers. While this film did not necessarily bring a whole lot of new things to the genre, if you enjoy this type of movie, you will probably enjoy this as well. While Killers was a by-the-numbers kind of movie, it was still a pretty fun popcorn flick, especially with the extremely beautiful Heigl involved. I definitely feel that the movie had a decent supporting cast to add to the two big names as well. When you add in Tom Selleck and Catherine O’Hara as the Kornfelt’s, Jen’s parents, this definitely makes the movie a lot more charming. Throughout the movie you get a lot of fun action and some pretty decent laughs, but where the movie doesn’t come all the way together is in the execution of both of these genres to their full potential. The action scenes are not as spectacular as they could be and the comedy is definitely not as funny as it could be. The script just doesn’t seem to have been fully realized, which is a shame considering how charming the cast is. Anyways enough of the chit chat, let’s jump right into some SPOILER TALK! The following are my thoughts, sprinkled with spoilers and you should all put in your thoughts about the movie by stopping by the comment section.